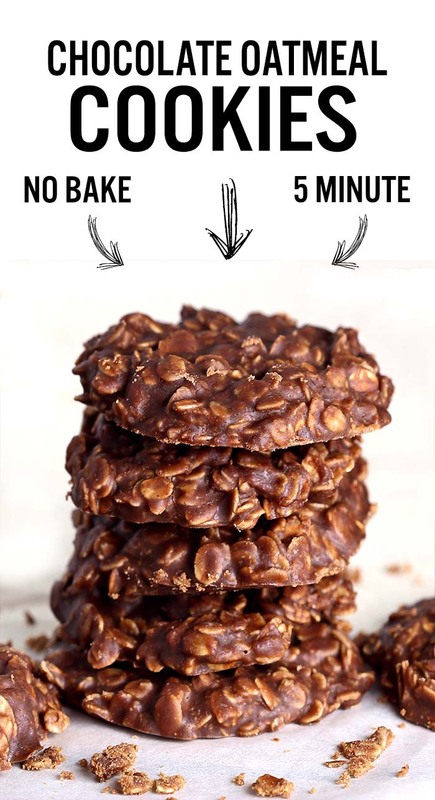 5 minute cookies ? Genius ! Yeah…..and is exactly the kind of thing I wanted to share. Lucky for you, you likely have the ingredients to make yourself a batch, and you need just one pot and a little cooling time and you have totally addictive no bake chocolate oatmeal cookies. Throw some in a jar, slap a cute label on them or not and BAM! Here’s the recipe so you can make them, too! They’re so good it’s hard to eat just one! 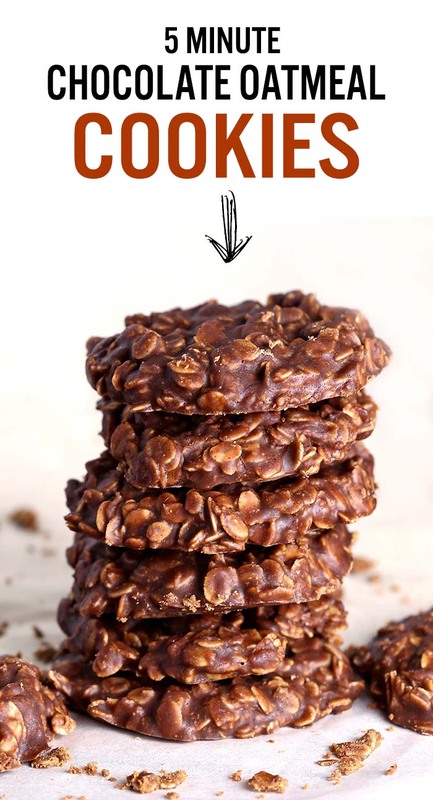 I do promise these No Bake Chocolate Oatmeal Cookies made with peanut butter, oatmeal and cocoa are the quickest, tastiest, no bake cookies you'll ever eat though! Kids absolutely love them. Add the butter, sugar, milk, and cocoa powder in a saucepan. Bring to a rolling boil, and boil for 1 minute. Stir in the peanut butter, vanilla, and oats and drop onto parchment paper paper. Let cool until set, about 10-15 minutes. Me gustaron mucho las recetas , muy buenas. Gracias que estes muy bien. I absolutely LOVE these cookies. 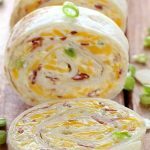 They are our new favorite recipe! 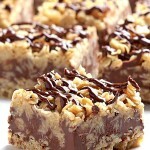 My Mom used to make chocolate oatmeal no-bake cookies that I remember loving as a child. They had no peanut butter, and I remember some coconut in them. Mom is 92 now, and can’t remember making these cookies. I found your recipe on line, and wonder if I could successfully replace the peanut butter with shredded coconut. Thank you! I hadn’t made these in years and needed something that wouldn’t heat up the kitchen. They set up well and are delicious. They are VERY sweet. I ran a little short on the oats, so I added a little coconut. I like them best with “crunchy” peanut butter (with peanuts), but they are good with “creamy” peanut butter, too. oops just used “old fashioned” rolled oats// fail? 🙁 haven’t tasted yet. 2 cups of sugar was way too much. Made these WAY too sweet. Will try 1c. next time. 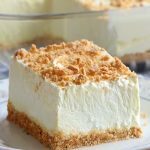 Would substituting almond milk work? 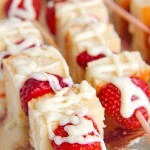 Would it be possible to make these with almond milk? Sure,you can go for it! My grandson loves these cookies. They’re his favorite and they’re so easy to make. Does the cookies come out crunchy or chewy like?